Thomas Fuller of Livingston was apprehended by Sgt. Jason Paske. 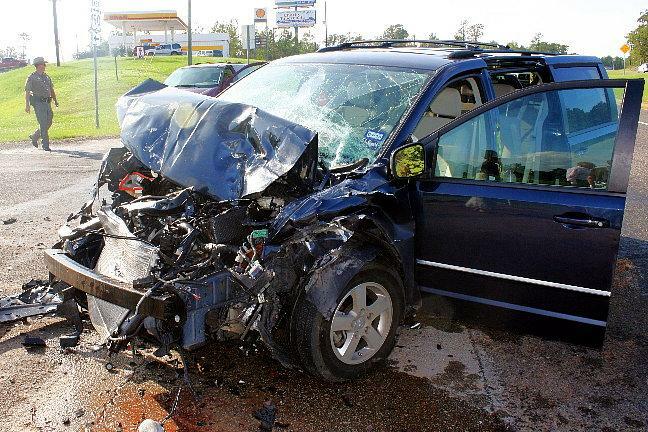 Intoxication, Lies, and Life Flight, LIVINGSTON, October 14, 2009 - At approximately 4 pm on October 14, 2009, a gray 2009 Dodge Grand Caravan driven by Dynastie Wright, 22, of Onalaska was east-bound on US-190 West when suddenly a white 2001 Ford F-450 utility truck driven by Thomas Eugene Fuller, 45, of Livingston pulled directly in front of her from the crossover point at FM-2457. 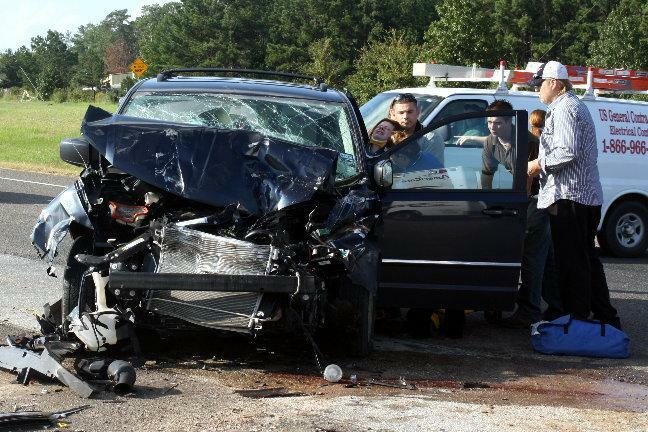 Wright's minivan slammed broad side into Fuller's truck. 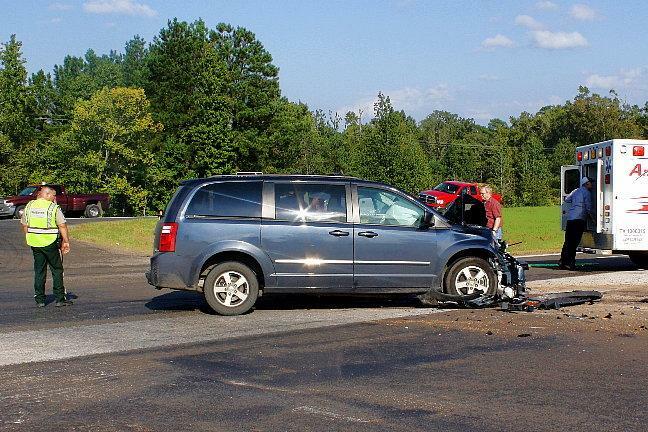 The minivan came to rest on the right side of 190 and the truck came to rest on the right side of FM-2457. Americare Ambulance Service was dispatched to the scene along with Polk County Sheriff Deputy Christian Schanmeier and Sergeant Jason Paske. Also dispatched was the Livingston Volunteer Fire Department and DPS Troopers Sam Lattner and Chris Stanbery. 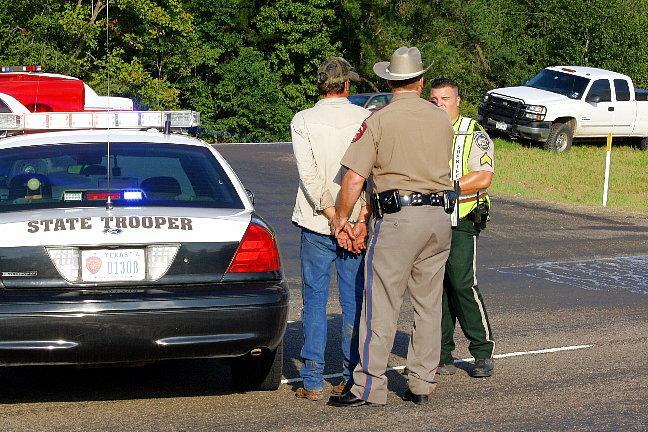 Upon arrival a man by the name of Roger Cain, 24, of Livingston approached Trooper Lattner and claimed that he had been the one driving the truck. 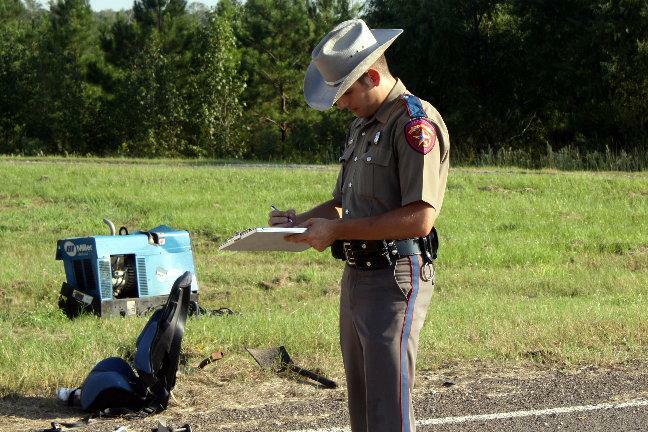 Trooper Lattner noted his statement and began an investigation. 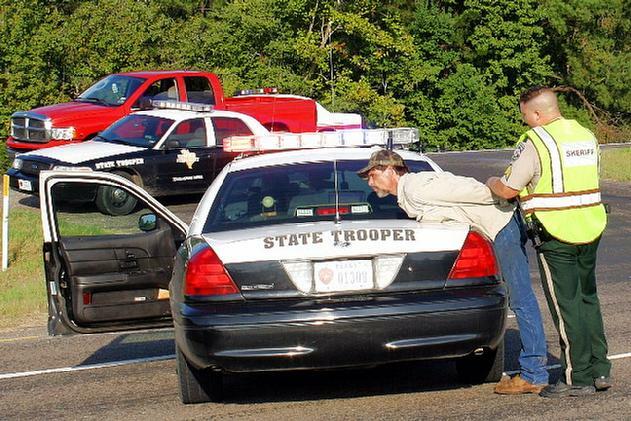 A short time later, Cain approached Trooper Lattner again and stated to Trooper Lattner that in fact it wasn't him who was driving but a man by the name of Thomas Eugene Fuller. Upon inquiry it was noted that Fuller was standing a short distance away at the service station known as the Corner Shell. Deputy Paske apprehended Fuller. In the meantime, Dynastie Wright and her 2 year old son were being treated for injuries by EMS Personnel from Americare. 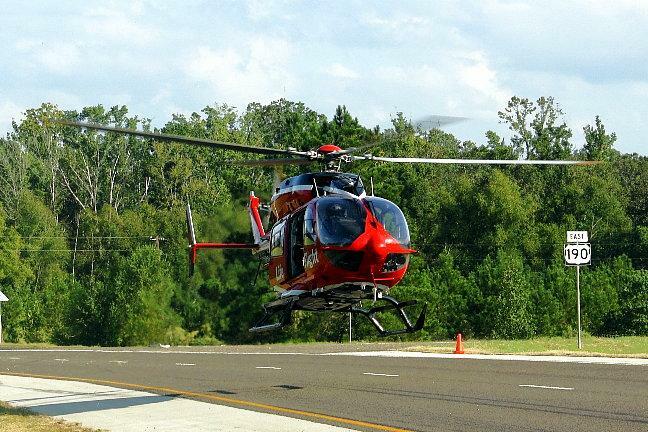 Life Flight was summoned arrived to transport 2 year old Clark Wright to Hermann Hospital in Houston with serious head injuries. Dynastie Wright was transported to Livingston Memorial Hospital with undisclosed injuries. The right lane of 190 East was blocked during investigation and cleanup. Thomas Fuller was placed under arrest for driving while intoxicated and failure to stop and render aid while Cain was placed under arrest for false report to an officer of the law. 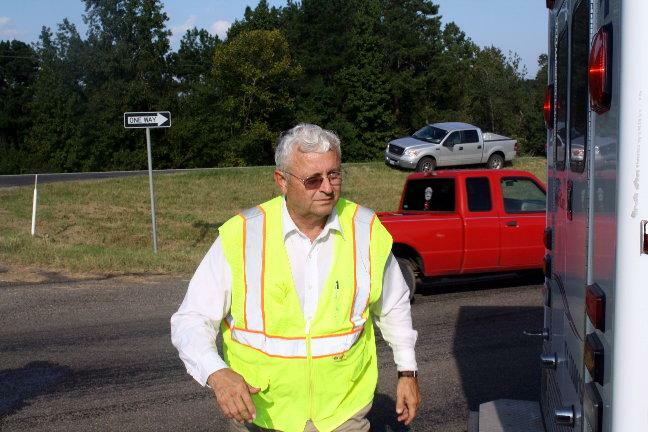 Additionally, Fuller received a citation for failure to yield right-of-way at an intersection. Both parties had insurance. 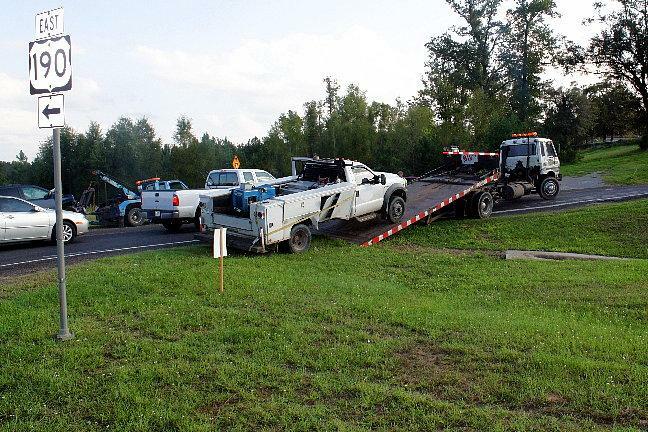 Wreckers from Harwood Wrecker Service recovered both vehicles. The scene was cleared by 5:30 pm. At time of press, the physical status of 2 year old Clark Allen Wright is not known to PolkCountyToday.com. EMS personnel work to free Dynastie Wright of Onalaska. Wright was hospitalized. 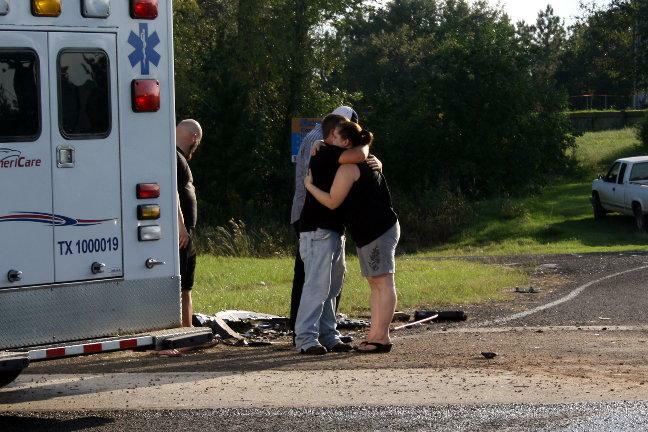 Wright's son, 2 year old Clark, was transported to Houston with serious head injuries. Fuller's truck was slammed broad side. 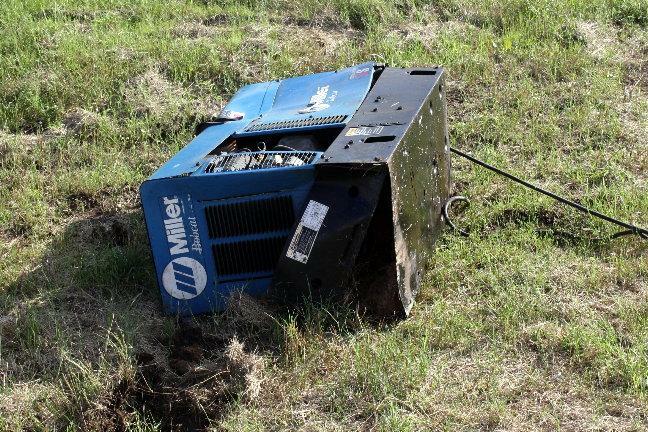 A welding rig was slung out of Fuller's truck into a median. 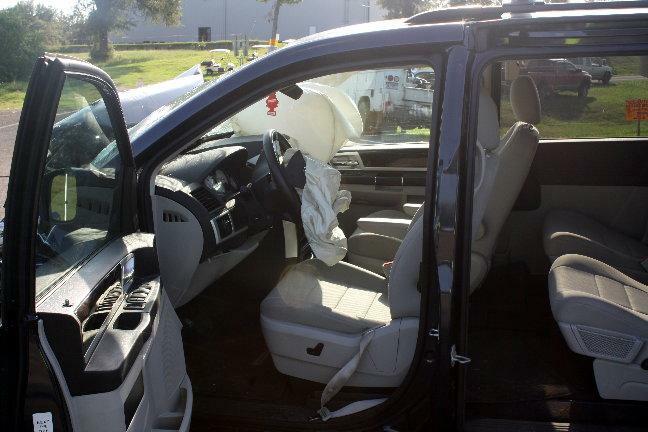 Both of Wright's airbags deployed. Trooper Sam Lattner takes custody of Thomas Fuller. 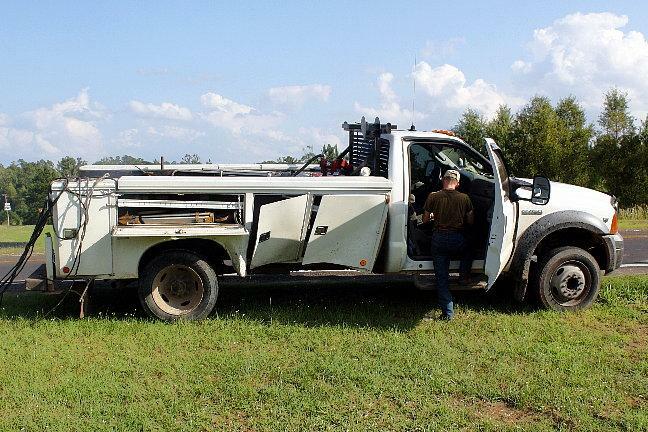 Both vehicles were towed by Jim Harwood.